Other than another nasty and painful bump on my shin that I earned from fatigue and carelessness doing the box jumps, the WOD wasn’t too bad. The blaring rock music in the background also help to keep up the momentum. The music’s base and rhythm would not allow me to stop. Seriously, mental endurance is as, maybe even more important than physical endurance. When your body aches and fatigue is in overdrive, only a strong mind with determination will keep you going. I used a 26 pound Kettle bell, but will use the 35 pound KB next time. Overall I am pleased with my performance. My score was 280. 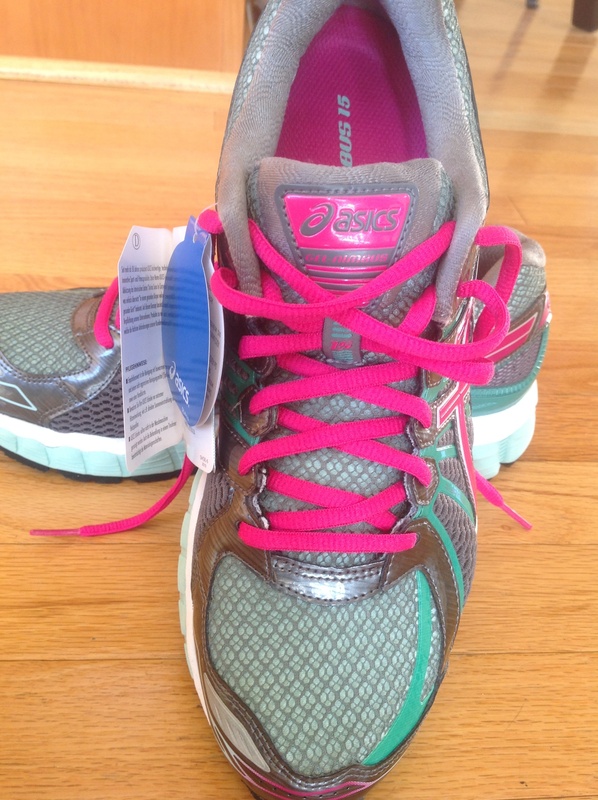 The best part of my day today was when the UPS driver pulled up to the house to deliver my running sneakers. Happy doesn’t begin to describe my emotions. I ripped open the box and my face lit up with joy. 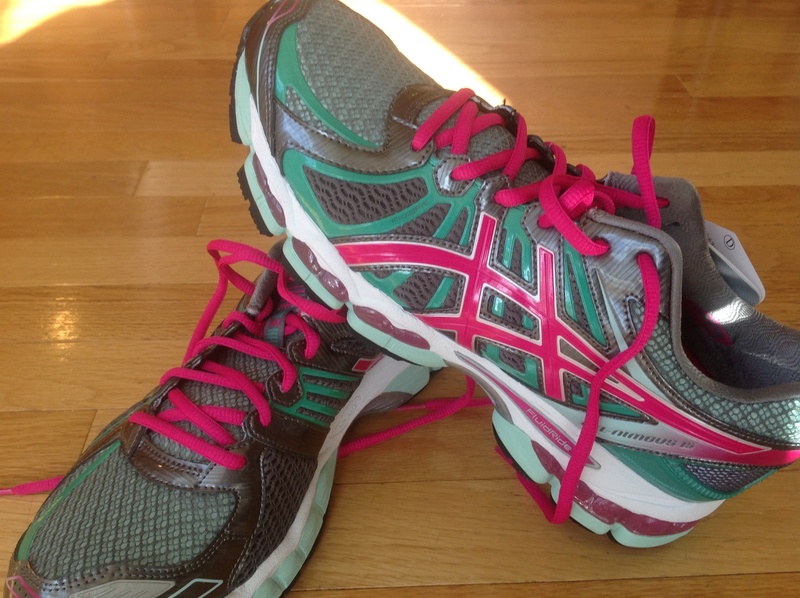 Call me crazy, but I wanted to put them on and go for a long run right then. I couldn’t because I had to tend to my son. Y’all non-runners, just don’t understand. LOL! 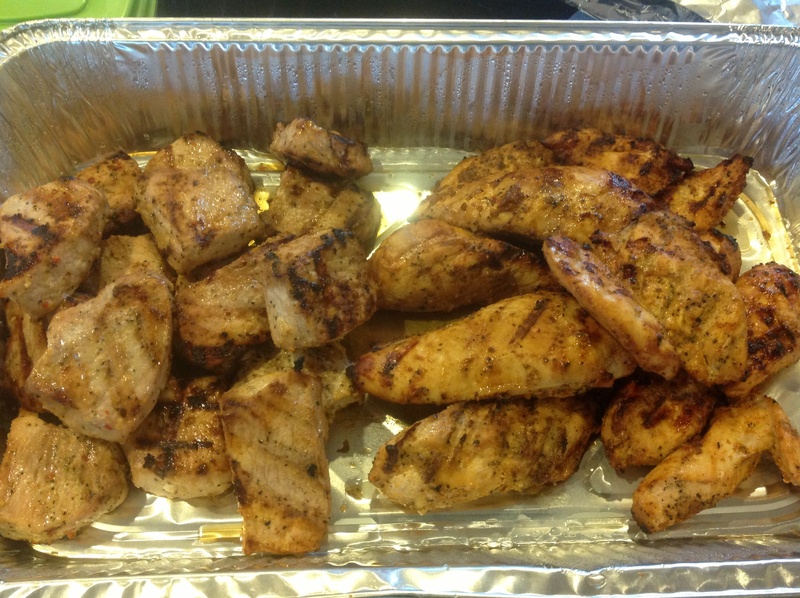 These are the some of the chicken breast and pork loin that I marinated yesterday. After CrossFit and dinner today, I tossed them on the grill. Yummy! The sadness in today is the shooting at the Washington Navel Base this morning. My thoughts and prayers are with the families, friends, and colleagues of those who were killed today. So Sad! This entry was posted in Fitness, Healthy Living, Inspiration and tagged asics gel nimbus, body aches and fatigue, burpee, CrossFit, Fitness, football mom, get fit, getting in shape, healthy life style, healthy-living, mental endurance, physical endurance, pull ups, running sneakers, working mom, Workout of the Day. Bookmark the permalink.